Smartwatches or fitness trackers need no introduction. With their well-deserved popularity for revolutionizing fitness, almost everybody knows by now what they are for and what they can do. So, instead, we will introduce you to the best smartwatch for running at a price that won’t cost you an arm and a leg. While the first releases of these fitness wearables would create a hole in your pocket—and a few, still do—there are many out there that get the job done without the hefty price tag. Check out our list of the best smartwatches for running that are below $200. The Amazfit Stratos Multisport Smartwatch comes with a 2.5D Gorilla Glass and 1.34-inch always-on touchscreen display, carbon fiber and plastic watch casing, stainless steel buttons, a polished ceramic bezel, and a 22mm silicone band. And making it truly an outdoor sports watch is its 5 ATM water resistance rating. With its transflective screen, it lets you see data on your watch when outdoors. The Amazfit Stratos Multisport Smartwatch is equipped with GPS + GLONASS route tracking to help you achieve your personal best, indoors or outdoors. It also has several sports modes, namely: cycling, elliptical machine, indoor swimming, mountaineering, open water swimming, running, triathlon, trail running, skiing, soccer, tennis, and walking. It keeps track of a wide range of activities, including heart rate, steps taken, distance traveled, calories burned, and sleep quality. It also lets you in on your VO2 max (maximum volume of oxygen) metrics, exercise load, and recovery time. As you sweat it out in the running track or keep busy at work, it keeps you updated with email, phone calls, SMS, and social media notifications; weather forecasts; and more from your phone. You can also play music with its onboard music player. Whether it’s freezing or sweltering hot outside, the Amazfit Stratos Multisport Smartwatch will keep up with you under 0-40°C temperatures. The Amazfit Stratos Multisport Smartwatch will stay on for more than five days with regular use. Meanwhile, it can last up to 35 hours with the heart-rate and GPS route on. 50m water resistance level, a great sports watch that you can take with you in the shower or for a swim—not a dive! Provides notifications from your phone, but you can’t text or take calls from it. The Toobur Fitness Tracker Watch has a 1.57 x 0.96 inch OLED screen, as well as a wristband that’s only 0.63 inches wide and with perimeter range of 5.5 to 8.1 inches. It has sports modes for badminton, basketball, bicycle, dancing, dynamic cycling, fitness, football, mountaineering, pedestrianism, running, treadmill, tennis, walking, and yoga. It records steps taken and calories burned. And via phone connectivity, it maps out your workout route in VeryFitPro. Besides the activity tracker, the Toobur Fitness Tracker Watch provides heart rate information for resting, average, and max HR modes. It can also monitor your sleep. No need to click any button to wake your watch. Simply turn your wrist towards you and the screen displays automatically. The Toobur Fitness Tracker Watch is selfie-ready. Just tap the oval icon on your watch to communicate with your phone’s camera to shoot. Need several reminders throughout the day? 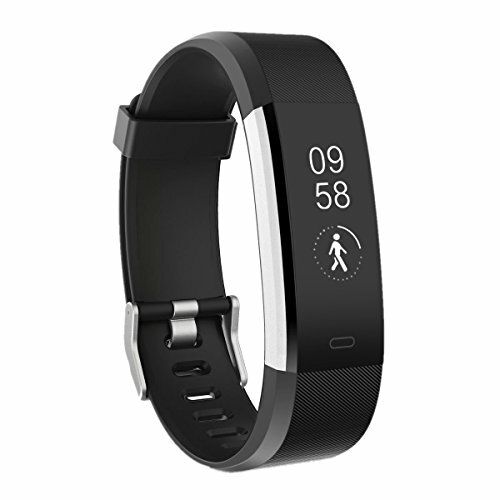 The fitness tracker can be set to go off on ten separate occasions, reminding you by vibrating. It lets you stay connected with your phone by giving you SMS and SNS alerts as well as call alerts. The Toobur Fitness Tracker Watch is compatible with Android 4.4 and above, iOS 7.1 and up, and Bluetooth 4.0 (phone only). It comes with the free app VeryFitPro. This fitness tracker is sweat-, rain-, and splash-proof. Easy charging. Just remove the straps and plug the watch face into any USB port. You can choose from a black, blue, or purple color. The Panerme GPS Running Watch has a 1.3-inch touchscreen LCD that lets you see your stats clearly. 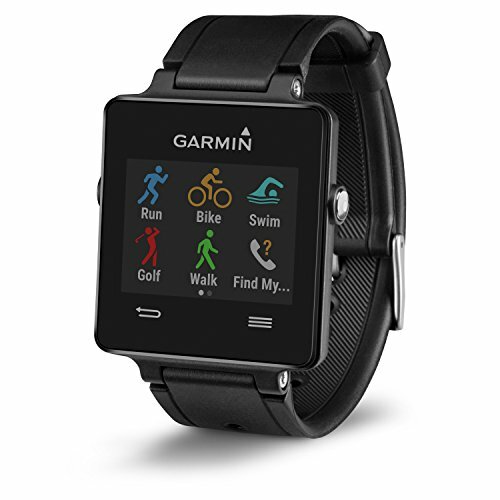 It tracks cycling, hiking, indoor and trail run, running, and walking. It also registers air pressure, built-in temperature, and altitude. It records steps taken, distance covered, pace, and calories burned. The Panerme GPS Running Watch also provides heart rate information in sports training, resting, and average modes, as well as sleep quality data. This enables it to receive GPS signal and provide GPS position, record move trajectory, and track route. It gives you text, calls, email, and social media alerts. 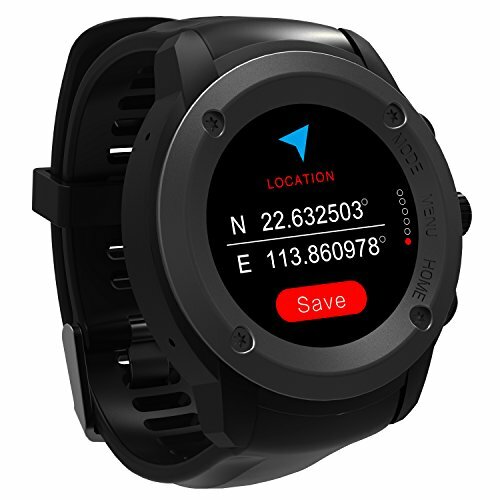 The Panerme GPS Running Watch is compatible with Android 4.4 and above, iOS 8.0 and up, communicating via Bluetooth 4.0. It comes with the downloadable app HitFit. The smartwatch will hold a charge for four to five days on standby mode. When connected to a phone via Bluetooth, it stays up 15-22 hours. In GPS sports training mode, it lasts 8-10 hours. When used with Android phones, it can get both notifications and lets you read them. With iPhones, you can only receive alerts. Battery life is not as good as the other two. Drains fast, especially with the GPS on. The Garmin vivoactive black is very cool since it already comes with its own sports apps. You can even use it to track your different activities. With this watch, you can keep track of your statistics without having to check your phone. This watch has a basic design and a great display size. The touchscreen display is ultra-thin and has a high-resolution. This model also has an excellent battery charge. It even has a fun feature. You can customize it for free from the Connect IQ store. You can choose a different face design as well as your choice of apps and widgets. The watch comes with sports apps already built into it. Has a very long battery life. You can personalize it from the Connect IQ store. Comes with a user manual in case you need to perform troubleshooting. Basic design isn’t very stylish. Only comes in 2 colors (black and white). So, which one’s the best smartwatch for running? We recommend you go for the priciest or the cheapest of the three. If you have the budget and are serious about running, then the Amazfit Stratos Multisport Smartwatch offers you the best value for your money for smartwatches at the expensive yet practical range. 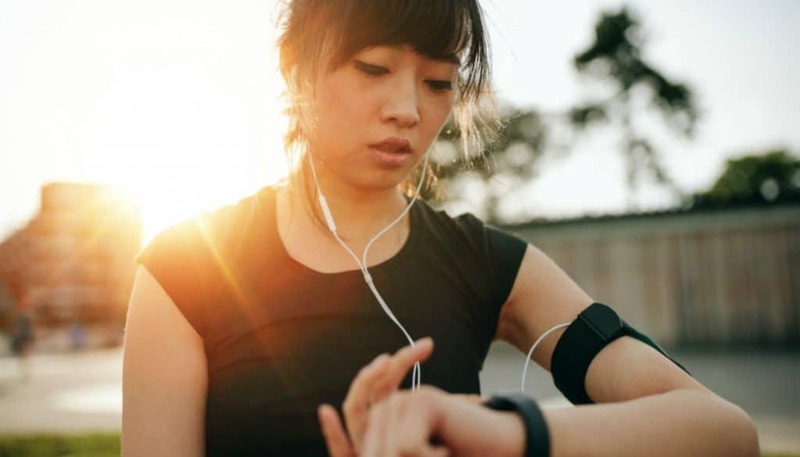 But if you’re working with a limited budget, then the Toobur Fitness Tracker Watch manages to offer you more value for the dollar with its wrist sense technology and remote phone camera control feature that you can’t even find in the Amazfit Stratos Multisport Smartwatch. Still, for higher accuracy, Amazfit Stratos can’t be beaten! Thanks for a great read! The Panerme GPS watch stands out to me – it seems like a great bargain for less than $200. I personally use the Garmin Fenix 5X which is the best watch I’ve ever owned. It is much more than $200 which is the main downside and this is because of the sheer number of features it offers. Do you think the Panerme would be good for hiking? I’m thinking about it as a gift idea. Hi, Stephen and thank you. Garmin Fenix 5X is an excellent watch. In most of the times, but not all, there is a connection between price and qualities. So this is one of the things we need to think about when we decide which watch we want. We need to know what is the basis we want to have on the watch. Knowing that made the decisions we need to take when we are choosing running watches must easier. If you are interesting about that, I wrote a guide about it here. About the hiking, Panerme is an excellent choice. It tracks hiking and it also registers air pressure, built-in temperature, and altitude. And with that in mind, and that it also covered the distance, it is an excellent hiking watch! I have read your review on smartwatches and you recommend the Amazfit watch in your review over the other ones. How does this compare to the Fitbit Iconic or the Versa? Fitbit has the app that can be used to measure the sleep pattern as well, Do these watches you have reviewed here, have an app that does this. As you know for recovery of all aspects of exercise exertion the body needs rest to recuperate. I hope you can clarify this and give more details on the app with these smartwatches. Hi, Khayyam and thank you. Before I answer you we need to have two things in mind. First, Fitbit Iconic is a good watch but I was not comparing Amazfit Stratos multisport smartwatch and Fitbit Iconic in this article. The reason is that I recommended four great smartwatches in this article which cost 200$ or less! Fitbit Iconic cost much more, you can get it around 300$ but this article is to help people which don´t want to buy a smartwatch at that price. Ther is a lot of things to have in mind when you buy a smartwatch, one of the things is how much it costs. There is one of the key things on my website that I help all the spectrum of people, as much as I can. Some are running, active for health reason, have fun or are taking part in a competition. Too, the budget is different too and I stress that I want to help people as much as possible, no matter if the budget is little or big. So I put as much work into helping people to buy cheaper things as I the work I do with finding as many qualities as possible. Then we need to find out the good mix between price and quality and that is a factor I always have in mind. But like you said, we need to think about what we want to have in the smartwatches we buy. I wrote an article about it if you like, you can see it here. But about the question about sleep. Sleep is the very important factor in building you up, no matter if it is for a tournament or healthy life. 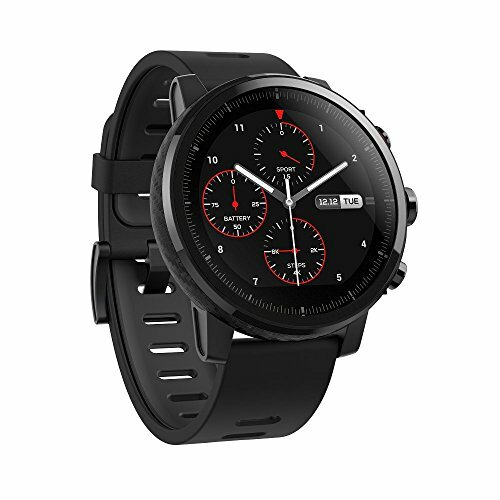 And Amazfit Stratos multisport smartwatch track it. Like it, track steps taken, distance traveled, heart rate and calories burned. Thanks for this great article! I currently use Fitbit and I’m looking to upgrade, do you have a post on Fitbit? I really like Garmin’s products and I have some friends who use Garmin’s running watches and recommended them to me. But the downside for me is the design, their watches are usually big and not so elegant. What do you think? Hi Paulina and thank you. Yes, I have. It is about Fitbit Charge 2 which I recommend highly. Awesome watch. You can see it here. 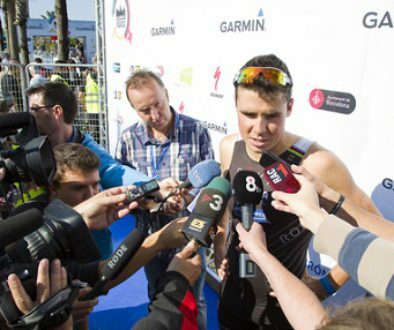 I have used Garmin a lot for some time. Like it very much, have good support and easy to use. About the design, it is always difficult. You know, what person A feels great design can person B doesn´t like at all, and vice verse. But here is one example of design from Garmin which I like a lot, what is your opinion? Hi Jóhann, sleek looking site and thanks for the article. I’ve always been a sports watch guy but have never spend a lot of money on them. I also have yet to get a digital watch. One question I have is how do these digital watch screens look through polarized sunglasses? I run in polarized glasses and my digital phone screen looks weird through them. So I am wondering if a digital watch screen will look the same. Hi Kasey and thank you. There is a lot of very useful features in the running watches but basically, you need heart rate, time, and distance as the absolute basic. Other things are more if you like it to add it. These possibilities have a lot to do with the price so that is why I always stress that you think first about what you want to have on your watch as most important things to have. After it, you can decide if other things are the money worth for you. I wrote an article about it which you can see here. About the digital watch screens, all these watches I recommend in the post have very clear screens so it is no problem to see it clearly.